Embossed with imagery befitting the Middle Ages, the Floral Isolde Leather Bodicenot only increases your style during roleplay, but raises your defense during LARP warfare or when sparring with your fellow adventurers. The corset is fashioned from six riveted segments of high-quality leather. An antique patina finish and embossed imagery lend it a beautiful, distinctive air. Floral accents decorate the front and back midsections. Two adjustable buckle straps adjust the fit at each side. 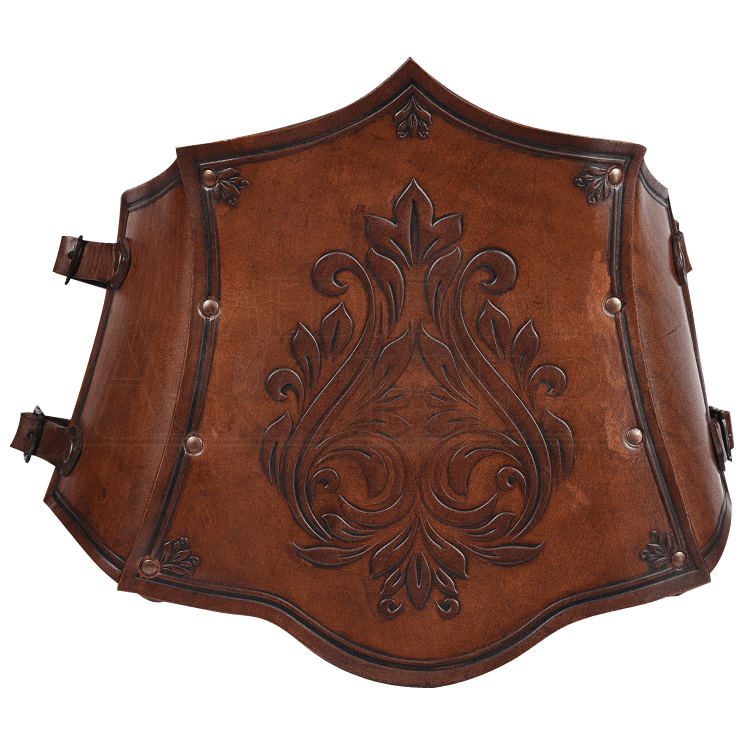 Command both respect and style on the LARP battlefield with the Floral Isolde Leather Corset.